plz any one help me? Where is the afl ? How can anybody help without any information ? Go in TOOLS menu> Preference>Miscellaneous> untick all displayed options (Remove all Ticks)> then click Apply and ok. Right Click anywhere on chart. Click Parameter. 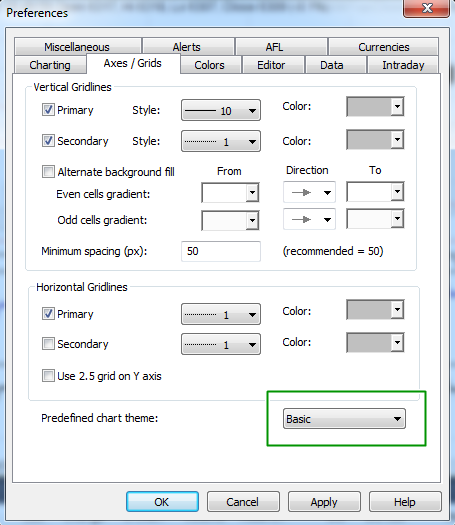 Select Axes and Grid tab. Show us What you see under the Axes area? Best thing is to cut-paste that image and display it here. I just copied the afl and had no problem.